Francesca Cominelli is Associate Professor at the University of Paris 1 Panthéon-Sorbonne and Director of IREST. She holds a Ph.D in Economics and her research interests include economics of culture, cultural commons, public policies, and cultural tourism. More specifically she is interested in cultural diversity, intangible cultural heritage, creativity, innovation, and traditional craftsmanship. 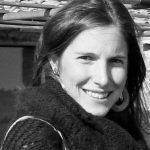 Previously, she worked as project specialist for INMA and the French Ministry of Culture and Communication (2008-2010), and as researcher for the European Investment Bank Institute (2013-2014) and for the University of Lille 3 (2015). She is member of ICOMOS and Vice-President for Europe of ICOMOS International Committee on Intangible Cultural Heritage.